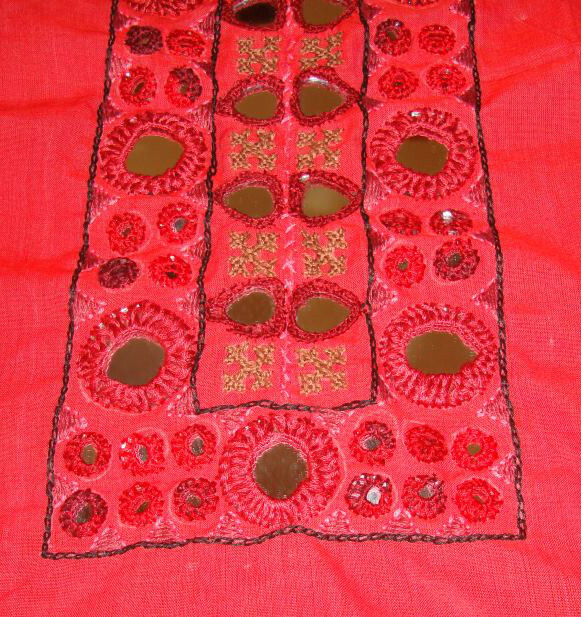 The different sized mirrors are fixed with shisha stitch on the red yoke. The heart shaped mirrors in the centre are fixed with double chain stitch which is whipped on the inner side to secure the mirror. 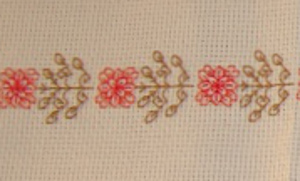 This stitch has some other names too. 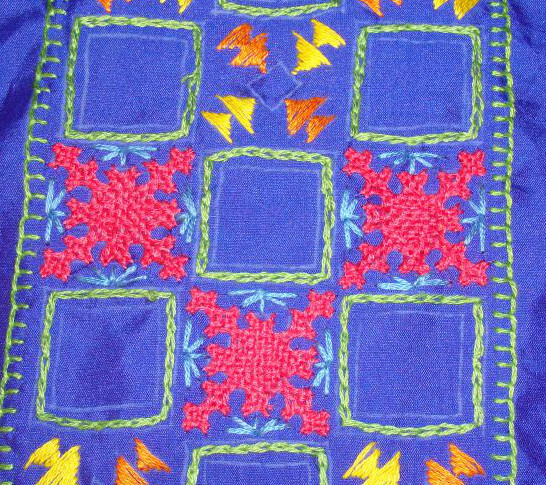 It is used in Hungarian, Kashmiri embroideries. It is thicker than the normal chain. By working this way, the cloth around the mirrors is pulled tight and the mirror sits snugly in the space created by this pulling. I was concerned when it distorted the shape of the fabric, later decided it would not matter because this yoke gets attached to the tunic. This yoke requires some silver beads now to complete the ethnic look. Sneaking another break from the red yoke, two more black work motifs were worked on the aida cloth. I have made some progress on the red mirror work tunic. 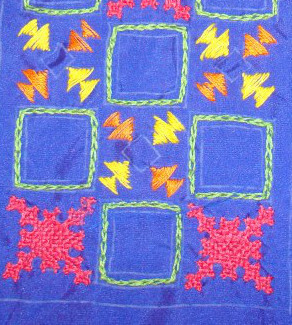 Square kutch motifs were worked in brown cotton skein. 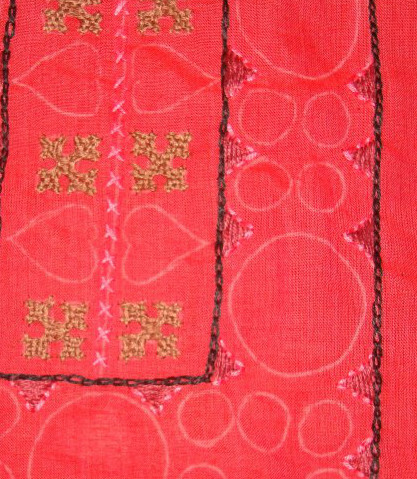 The herringbone outlines and the central crosses were worked in peach thread. 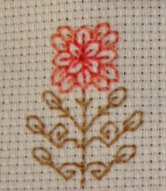 Except for the black thread I am not moving far from red colour base. The heart shaped mirrors have been started, the picture will be taken after they are completed. 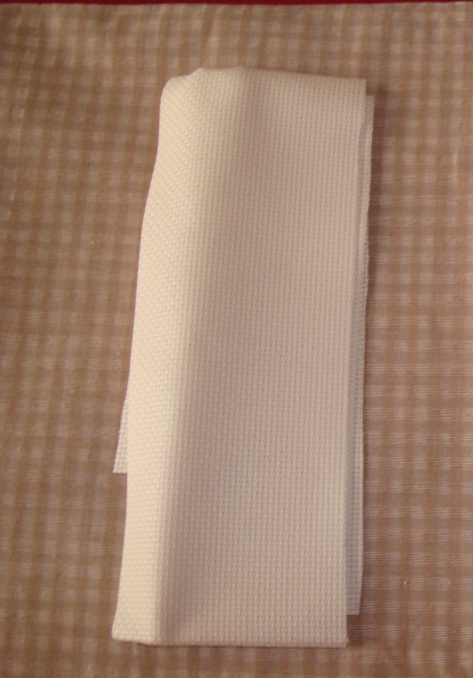 Needing to get a bit away from this mirror work, I started the black work on aida for this beige and cream tunic. The aida will be the central panel for this tunic. 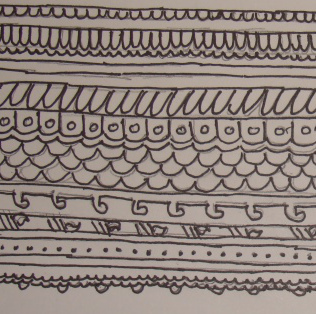 The pattern is a combination of motifs in the centre and two borders on either side. 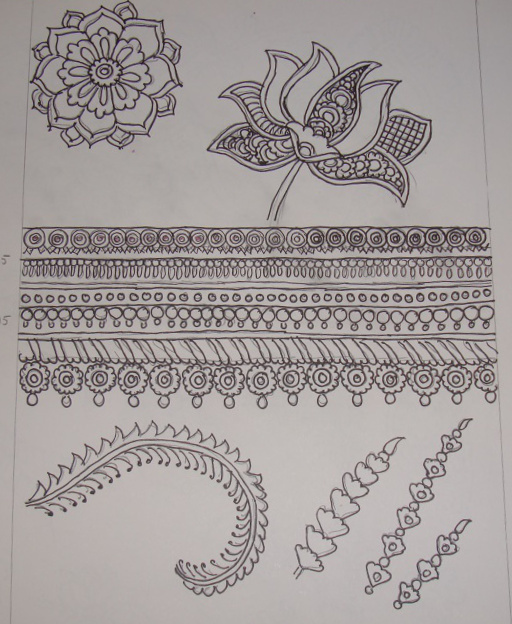 Just started with the motif. After scratching the itch, I am back to mirrors now. 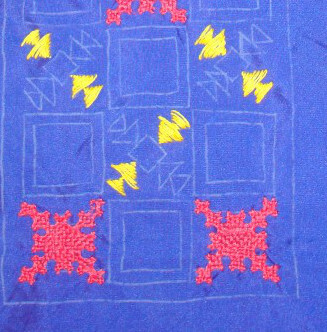 Will restart again after the red yoke is completed.